Inside Edition featured our recent Brides Across America wedding gown giveaway event on September 13th, 2017. For many years Bridal Reflections has partnered with Brides Across America in giving women serving in the US armed forces the wedding dress of their dreams for free. 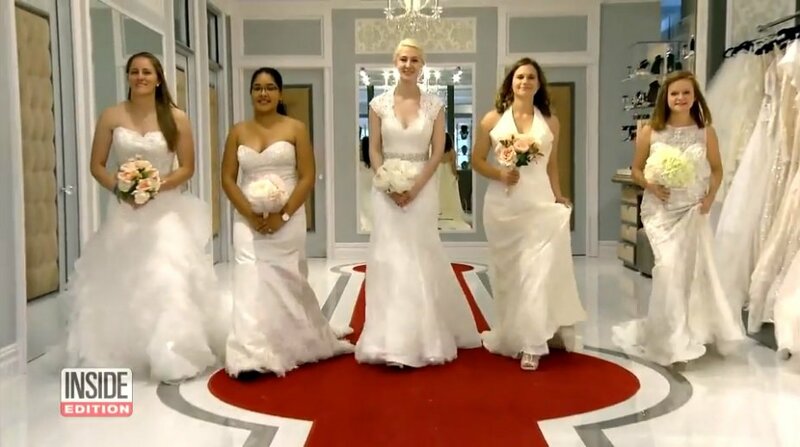 Inside Edition captured our event as brides tried on wedding gowns that retail for up to $10,000 each.